If you have a large patch of weeds, your first instinct may be to go out and find the largest bottle of herbicide they make. Eventually, you come to the realization that using that much pesticide will not only kill the weeds, but have a detrimental effect on every other living thing around it. Before you roll up your sleeves and attempt to pull out each weed by hand, try some ecologically friendly methods that are capable of killing weeds. According to the USDA, household vinegar is a highly effective herbicide. Household vinegar has a concentration of about 5 percent, which is good enough to kill most young weeds during their first two weeks of life. However, a stronger concentration of about 20 percent has a kill rate of about 85 to 100 percent. Vinegar is most effective on Canada thistle. According to Jodie Tate, University of Illinois Extension Educator, salt is an effective weed killer for large areas. You can spread it directly onto the weeds or mix it with water and spray it. Eventually, rain will dilute the salt into soil and make the area safe for other vegetation. Mix between 4 to 16 cups of vinegar with 1 cup of salt (use less vinegar for a stronger solution). Heat the salt-vinegar mixture in a pan to dissolve the salt. Allow the mixture to cool. Add 1/2 tsp. of liquid soap. Place the mixture into a spray bottle and apply it to the weeds. For an alternate homemade pesticide, mix 2 tbsp. of salt and 5 tbsp. of vinegar with 1 L of boiling water. Pour it onto the weeds while the mixture is still hot. Try spreading newspaper over the weedy area. The newspaper will block the sunlight and kill the weeds. The best thing about this weed killer is that eventually the newspaper will break down and add nutrients to the soil. Apply about six to eight layers of wet newspaper to an area. You may need a few bricks or rocks to hold it down. If an area is suffering from other pests as well as weeds, try solarization. Solarization requires you to cover the soil with a clear polyethylene. You then seal the edges with soil and allow the sun to heat up the area. The heat eventually kills weeds and other pests in the soil. This method is best done in July and August and will take about six to eight weeks. A weed torch is a device that attaches to a propane tank. It doesn't work by burning away the weeds. Instead, it allows you to use heat (aka fire) to damage the weeds, which will eventually kill them. Do not use this device during times of drought. 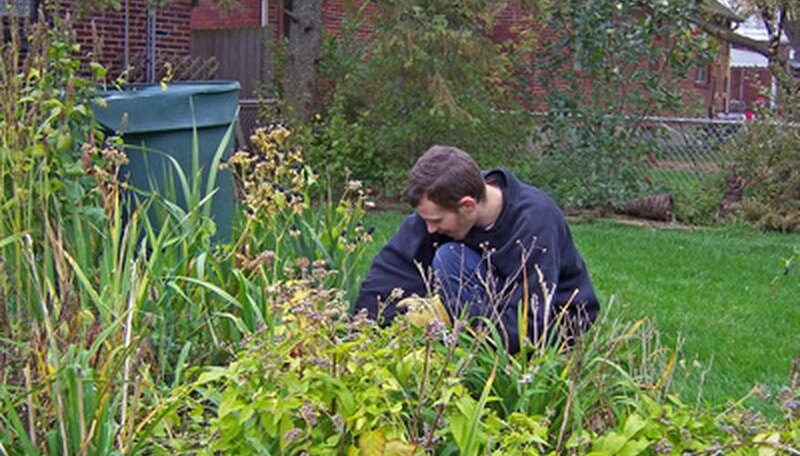 When applied directly, boiling water can kill weeds within a day. It may seem impractical to boil enough water for a large area, but you can kill a portion of a weed patch any time you make pasta or hard-boiled eggs. Warning, this method kills beneficial organisms in the soil and should not be used in an area you plan on growing something else. USDA: Spray Weeds With Vinegar?